Yes! After releasing on Windows, Mac, Linux and Xbox One, finally, A Hole New World is available on PS4! 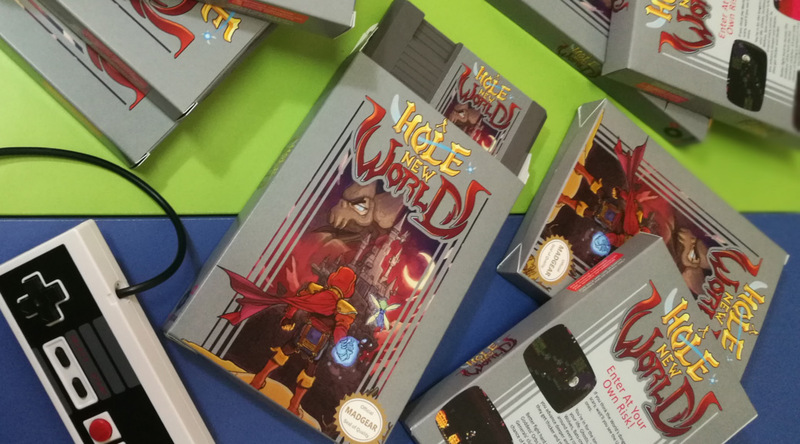 And we are celebrating the same way we did with the Xbox version: Awarding 3 limited A Hole New World’s NES cartridges, that will play the fantastic soundtrack of the game on actual 30 years old NES hardware, to the first 3 to unlock all trophies and contact us. And, while the Xbox One units went already away, there are still some places available for those who want to enter the Super Early Access of our next game Kemono Heroes and get it for free. Just beat the “good ending” of A Hole New World on Steam and tell us!